With the introduction of the Intercom App Store, we've created our very own Messenger app. With it installed, your customers and your support team can do a ton of things inside the Messenger. Before adding searchable cards on the Home screen or sending article cards to customers, you'll need to install the HelpDocs app for the app store. It's super easy and shouldn't take more than a few minutes. Empower customers to help themselves before they get in touch with your support team. With the searchable card, customers can search your HelpDocs knowledge base without leaving the Intercom widget. Point visitors or customers to specific articles that might help them succeed with your product. Helping out a customer but need to point them towards a specific article? We've got good news—you can search for it and send it to them in a lovely little card. It'll include the short version and a button to the article. 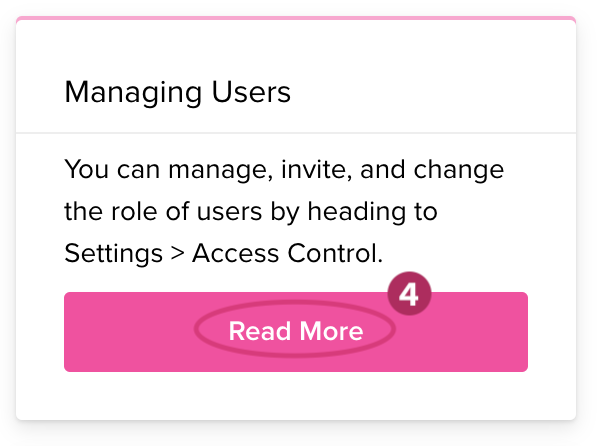 You can insert lovely little article cards into your auto messages—great for campaigns to educate customers on using your software. There are four strings of text within the app. Good news is they're both customizable, so you can write whatever takes your fancy. First off, head to Settings > i18n. Then change the matching strings. By default users in the Intercom Messenger App only have access to public articles. That's articles that are Published and aren't assigned to any permission groups. If you use Permissioning to show different articles to logged in users of your app, you can use that with the Intercom Messenger App too. These extra articles will be available when users are identified (i.e. logged in) to your Intercom Messenger, rather than anonymous users or leads. They'll also be available to your support team, who can send them individually to any customer.